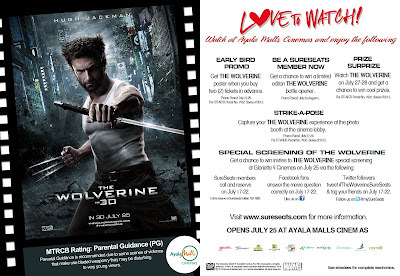 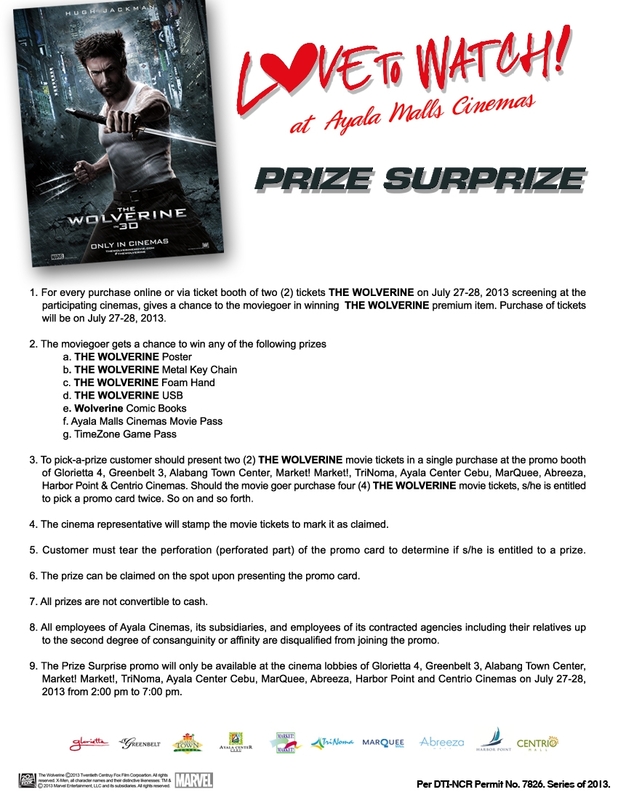 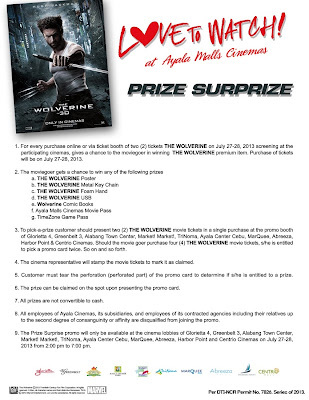 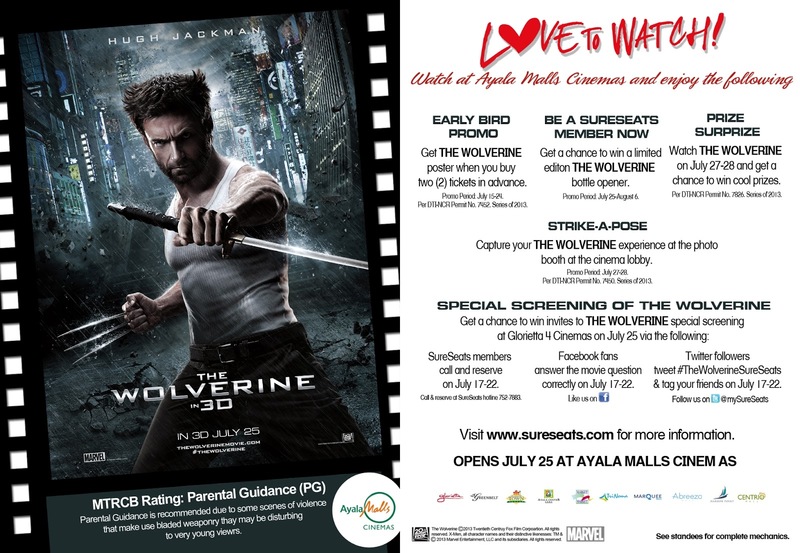 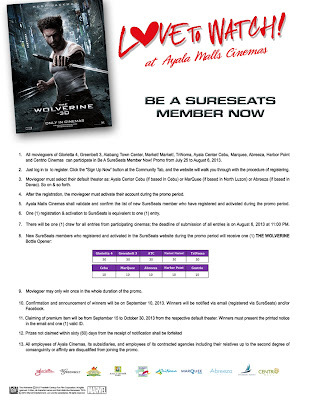 Ayala Malls Cinemas brings you the adamantium-clawed hero, "The Wolverine" this July 25 with a handful of surprises from their Early Bird Promo, Strike A Pose, SureSeats membership, and Prize Surprize. 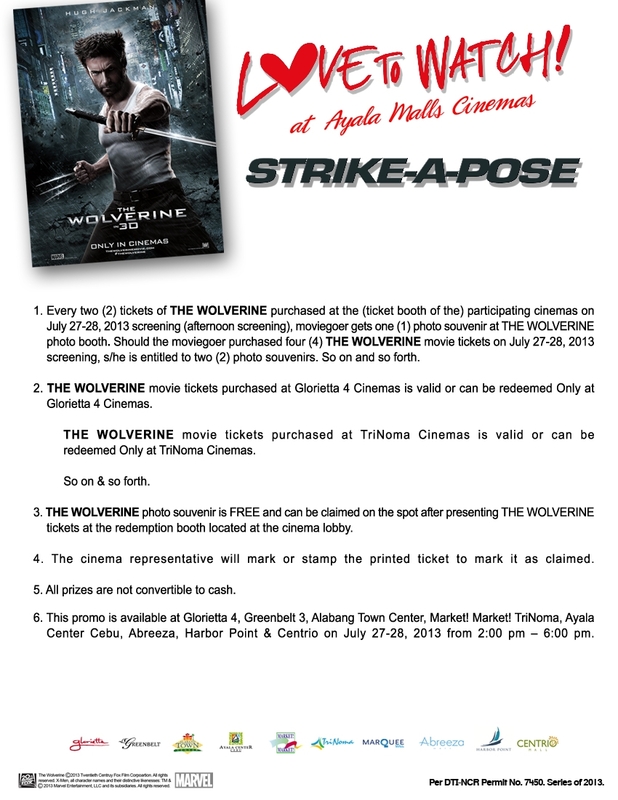 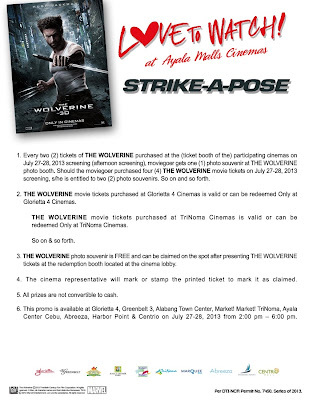 For the details of the "The Wolverine" promo at Ayala Cinemas, you may click the thumbnail posters below. 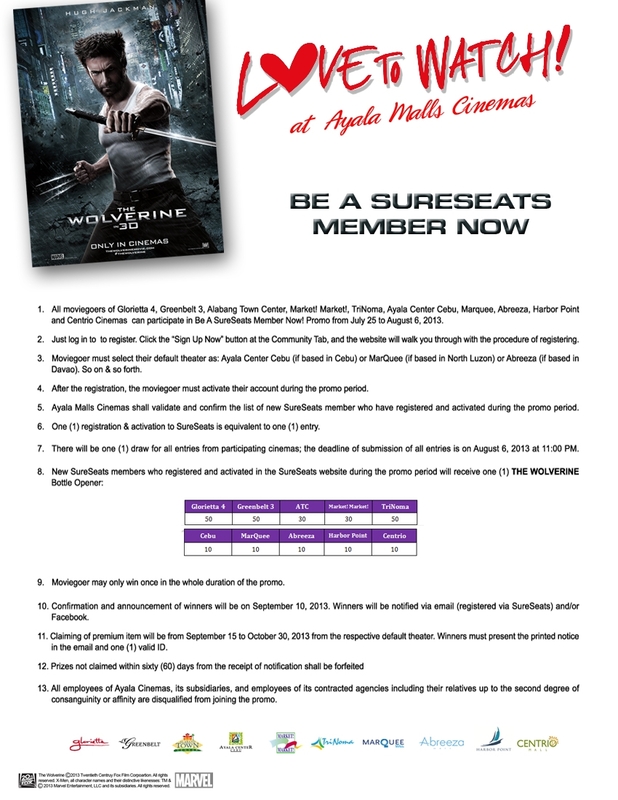 Check out the following promos only from Ayala Cinemas and be a member of the fast-growing www.sureseats.com movie community — Glorietta 4, Greenbelt 3, Alabang Town Center, Market!Market!, Trinoma, Ayala Center Cebu, Marquee Mall, Harbor Point, Centrio Cinemas, and Abreeza Davao. 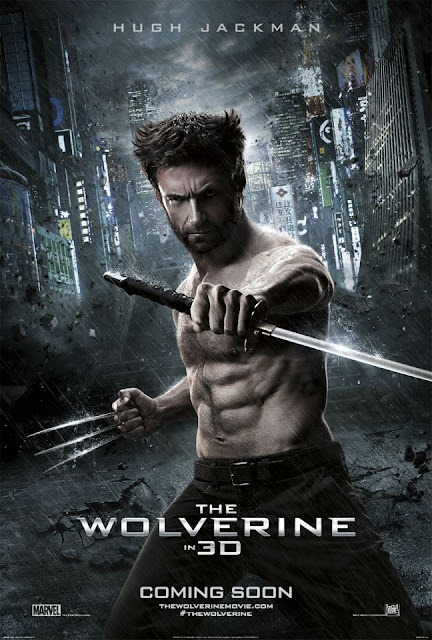 Engrossing and dark with thundering action, “The Wolverine” follows Logan to Japan where he is caught up in a sinister web of deceit, confronting deadly foes including lethal samurai steel directed by James Mangold. For other details, movie trailer, and news about the movie "The Wolverine" you may click here.